Engineering Services is responsible for the construction and maintenance of infrastructure assets including roads, footpaths, drainage, litter control, signage and lighting. Residents should report to the works department any damage to roads, footpaths and cycle-ways, broken or missing direction signs and obstructions to ensure that prompt repairs may be undertaken. The following guiding principles outlines the Shire of Exmouth standards and expectation for the development and subdivision of land within the Shire. These guidelines recognise both current design practice and industry standard as prescribed by the Institute of Public Works Engineering Australia, Main Roads Western Australia and the Western Australian Planning Commission. All subdivision applications made to the Western Australian Planning Commission (WAPC) must include a plan of subdivision which has been prepared in accordance with the WAPC's guidelines. Alternatively licensed land surveyors are able to survey your lot, provide advice on how best to subdivide the land, prepare subdivision plans and lodge subdivision applications with the WAPC on your behalf. The Shire of Exmouth manages its road network in conjunction with Main Roads Western Australian. Detailed roads Standards and Technical is available for reference at Main Road Western Australia web-site. This specialised knowledge will continue to play an important part in the planning, design, construction and maintenance of our road network. The Shire of Exmouth manages flood mitigation in conjunction with the Western Australian Department of Water. The Department of Water has a role in advising other government agencies on managing impacts on the state's water resources from land planning and development proposals. The department may also provide input into legislation, policies, guidelines and strategic documents produced by other government agencies. Water resource management advice is provided on a range of land planning and development proposals. These proposals are administered under legislation of the relevant government agencies, including but not limited to the Department of Planning, Environmental Protection Authority, Department of Lands, Department of Environment and Regulation and local governments. The Shire’s District Water Management Strategy is is available for download District Water Management Strategy’. This document provides a broad level stormwater management framework to support future development. Incorporate appropriate best management practices into the drainage systems that address the environmental and stormwater management issues identified. Minimise development construction costs, which will result in reduced land costs for future home owners. 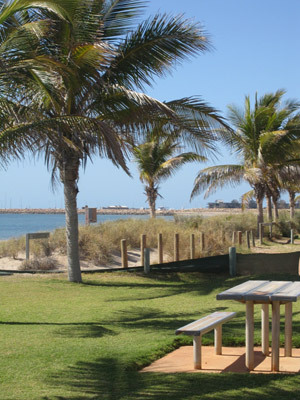 Minimise ongoing operation and maintenance costs for the land owners and Shire of Exmouth. Develop a water conservation strategy for the area that will accommodate existing groundwater allocation constraints for the area. The Shire of Exmouth residents, tourists and community groups benefit from some of the highest quality sports fields, parks and neighbourhood playgrounds. Our enthusiastic team of Gardening Staff monitor and maintain some 14 Parks, 3 Sporting Fields, numerous playground structures, open areas and other Shire facilities. Street signs, directional signs and tourist information signs within the townsite are erected and maintained by the Engineering Services Department. 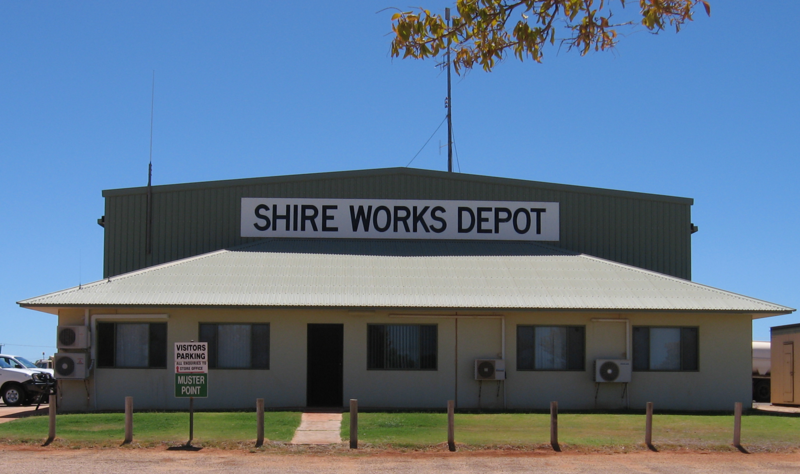 Business signs require approval from the Shire’s Planning Department before erection. Refer to the Planning Services Information Sheet on Signage for further details. The Engineering Department is responsible for the weekly collection of domestic rubbish. For further information, including collection days, visit the Rubbish Collection page of our website.